Built on principles of integrity and efficiency, our firm provides families with solid legal advice, personal service and superior results. Our firm maintains the highest standards of excellence, ethics, qualifications and is rated "BV" by Martindale.com. Practice Areas Family Law Criminal Law Military Divorce Divorce Mediation Personal Injury Auto Accidents Child Abuse Military Divorce Main Address: Hesser & Flynn, LLP 2820 Jackson Street Alexandria, LA 71301 U.S.A Phone: 318-542-4102 Fax: 318-442-4105 Send a message Directions During his tenure at the largest law firm in central Louisiana, David C. Hesser was listed in AM Best Attorney Directory. For 2010, 2011, 2012, 2013 and 2014 David C. Hesser was honored to be selected as a Louisiana Super Lawyer. Only the top 5 percent of Lawyers are selected to Louisiana Super Lawyers. Our attorney and staff have a combined 40 years of experience for cases involving: family law, Louisiana divorce, child custody, criminal law, child support, spousal support, community property, military divorce, military retirement division, child sexual abuse, felony cases, dwi/dui and child abuse. Our practice primarily focuses on family law and criminal law. We currently litigate in Louisiana and Texas. See David C. Hesser's profile at SuperLawyers.com. We are known for handling jurisdictional/venue cases involving the Uniform Child Custody Jurisdiction Enforcement Act, UIFSA and general venue disputes. CLIENT REVIEW: I was beyond pleased . . . I came to them during a very difficult time in my life and Trey, Danny (paralegal), and David all made me feel like I was the most important client they were working with. They returned my phone calls in a very timely manner even on the days they were away from the office. They also made sure that I completely understood what was going on with my case and explained all of my options. I give The Hesser Law Firm a 5 (out of 5) and would gladly use them in the future. AR Client Review: I would like to thank you from the bottom of my heart for everything you have done for A.G. and I. We are forever in your debt and from now on anytime someone asks me for a damn good attorney your name and number will be the first one given. Even over my own attorneys. AG Client Review: My family and I will be forever grateful to you and your staff. We can't find enough words to express our appreciation for Mr. Hesser. Mr. Hesser is a phenomenal attorney. We are greatly appreciative for his expertise in winning our case. Than you all for being an amazing law team. SH David C. Hesser has the highest level of training available for a family law attorney: Board Certification by the Louisiana Board of Legal Specialization. For Criminal cases our firm provides aggressive representation, filing motions to suppress evidence and related motions using a carefully planned defense in an attempt to obtain the best results. David C. Hesser also has the highest level of training available for offshore injury attorneys: A Master of Laws in Admiralty (LLM Law Degree). Trey Flynn litigates family law cases and criminal defense cases. He is currently defending an attempted murder case along with many child custody cases. He has been selected as a speaker for the National Business Institute continuing legal education regarding family law matters and is currently scheduled to speak for the United States Army JAG Corps. CLE seminar in November of 2014 concerning DUI. 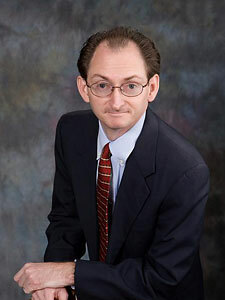 He is an aggressive litigator with years of experience. We accept payment for family law and criminal law matters using Cash, Check, Visa, Discover and MasterCard. For Criminal matters we charge a flat fee. We welcome you to our family law practice. Our attorneys strive to offer the finest legal representation available in Louisiana and Texas. Our attorney David C. Hesser is a Board Certified Family Law Specialist by the Louisiana Board of Legal Specialization, was recently honored by selection to Louisiana Super Lawyers2010 - 2015, 2018 - 2019 and is a Certified Divorce Financial Analyst by the Institute for Divorce Financial Analysts. Criminal Law Offshore Accidents Admiralty and maritime law governs accidents that occur on the water or are connected with the water. This area of the law requires specialized knowledge and skill to successfully represent those people (including Jones Act seamen, unseaworthiness claims, maintenance and cure and general maritime law) who have maritime accidents. For the residents of the Gulf Coast (Louisiana Mississippi and Texas), this knowledge is extremely important because of the amount of people that work in the offshore oil business in these states. If you were injured in an offshore accident or an accident in and around rivers and lakes you will need an attorney who is experienced and knowledgeable in admiralty law. Divorce Mediation Mediation services to help resolve civil personal injury cases and community property disputes are available. In mediation a neutral person helps the parties to resolve their case through a cooperative settlement agreement. If you are going through a Louisiana divorce or a Texas divorce you may want to try mediation to resolve your case. Team mediation as originated by David C. Hesser can help resolve civil cases where a neutral mediator is assisted by a mental health professional. Personal Injury Our attorneys are litigators who regularly appear in court and try cases. While we may be able to settle your case out of court, you can rest assured that we will not hesitate to try your case if that is what it takes to obtain fair compensation for your injuries. Attorney David Hesser is rated BV by Martindale.com and during his tenure at the largest law firm in central Louisiana, he was listed in AM Best Attorney Directory. David Hesser was recently honored by his selection to Louisiana Super Lawyers 2010 - 2015, 2018 - 2019. To speak to an attorney Call Now: (318) 542-4102. Auto Accidents Insurance companies hire high quality, reputable attorneys to represent their interests. Our firm is known for providing quality representation by highly educated attorneys and will serve your interests and protect your rights in a professional manner. If you have been hurt in an accident call now and we can coordinate with your doctor regarding your medical care or schedule you an appointment with a doctor in your area. Once we have information from your doctor we can begin the litigation process or settle your case. There is no attorney fee unless we win your case. Child Abuse Mr. Hesser has served as the Chairman of the Permanent Review Board for the Dioseces of Alexandria reviewing sexual abuse cases for years. He is familure with sexual abuse cases and other types of child abuse. He has litigated these types of cases in juvenile and civil court. David is both Board Certified as a Family Law Specialist and has a Masters in Admiralty Law. He was honored to be selected to Louisiana Super Lawyers 2010 - 2015, 2018 - 2019. These qualifications combined with his experience allow him to provide the finest representation for families, offshore workers and injured persons. He worked for families and injured offshore workers for years at large and mid-sized law firms. His experience allows him to provide quality representation careful attention to detail with customer attention. He has handled hundreds of divorces, custody cases, military retirement divisions, property divisions, spousal support case and child support cases. He has also handled hundreds of offshore accidents (Admiralty Law) including Jones Act, Unseaworthiness, Death on High Seas Act and Maintenance and Cure claims. He has helped clients recover millions of dollars in claims for admiralty, injuries and contractual disputes. He is known as a tough litigator who also looks for cost effective ways to resolve cases through dispute resolution. He has taught other attorneys at continuing legal education seminars on the topics of the Jones Act and Admiralty Law. Martindale-Hubbell recognized David Hesser with a "BV" Peer Review Rating, an indication of an exemplary reputation and well-established practice. . . high professional standing." He is a member of the Southeast Admiralty Law Institute and has been listed in Best's Directory of Recommended Insurance Attorneys. In 2013 the National Business Institute selected him to write and present regarding the topic of "Ethical Considerations for the Plaintiff's Attorney" at their seminar "Handling Divorce Cases from Start to Finish." David has the financial designation of Certified Divorce Financial Analyst by the Institute for Divorce Financial Analysts. He received his law degree from the University of Arkansas at Little Rock where he was honored with the American Jurisprudence Award & Top Paper Award. He is a litigator who has represented hundreds of families going through divorces, custody and child support disputes. He has handled multi-million dollar community property partitions. While he is known as a litigator, he has also resolved many cases through mediation and collaborative divorce. He has taught other attorneys, mental health professionals and financial professionals at continuing education seminars for family law and dispute resolution at LSU Law Center, LSU-S, ULM and Southern University. In 2012 he was the speaker at the National Business Institute for the topic of Basics of Civil Practice and Procedure. Co-author: "Forensic Accounting in Matrimonial Divorce" R.T. Edwards Publishing, 2005, Chapter 2, "Ethical Limitations on Future Services for Neutral Financial Professionals Following a Collaborative Divorce." Author: Team Mediation: An Interdisciplinary Model Balancing Mediation in the "Matrix," 7:1 Pepp. Disp. Resol. L.J. 113 (2007). Speaker, "Team Mediation," International Academy of Collaborative Professionals Forum, 2005. Filed Louisiana's first successful Collaborative Divorce. Co-Chairman of the Permanent Review Board, which reviews sexual abuse allegations for the Catholic Diocese of Alexandria. David was a member of the Downtown Rotary Club in Alexandria. David practiced at the prestigious law firms: Gold, Weems, Bruser, Sues & Rundell; Breaud & Lemoine, PLC; and Randy J. Ungar & Associates before forming his own firm. David completed high school at Caddo Magnet High School in Shreveport, Louisiana and lived in Shreveport, Louisiana during college. After law school David practiced in New Orleans and Lafayette before settling down in Alexandria in September 2001. Practice Areas: Family Law; Child Custody; Child Support, Spousal Support, Community Property Law; Military Divorce; Maritime Injuries; Admiralty and Maritime Law; Mediation; Collaborative Family Law; Collaborative Law; Jet ski accidents, Cruise Ship Accidents, Divorce; Wrongful death, Domestic Relations; Personal Injury; Automobile Accidents, and Criminal Law. Admitted: Louisiana, Supreme Court of Louisiana; U.S. District Court, Middle, Eastern and Western Districts of Louisiana and U.S. Court of Appeals, Fifth Circuit and Texas Courts. Law School: University of Arkansas at Little Rock William H. Bowen School of Law, J.D., 1994 (American Jurisprudence Award for Civil Procedure and Top Paper Award for First Amendement Seminar); Tulane University Law School, LL.M., Admiralty, 1998. College: Centenary College, B.A., in Economics, 1991. Attended Centenary College on an athletic scholarship. Member: Alexandria, Louisiana State and Federal Bar Associations; Southeastern Admiralty Law Institute; Crossroads-American Inn of Court of Alexandria-Pineville; Shreveport Bar Association; Collaborative Professional Group of Louisiana; International Academy of Collaborative Professionals.